I am writing this post, half in appreciation of a brilliant work of phishing email from some one out there… and other half : to help some one who could fall victim to this malicious intent from that same person(s)! it says “gooqle” and is not from “google.com”. But how many normal gmail users will be noticing those? 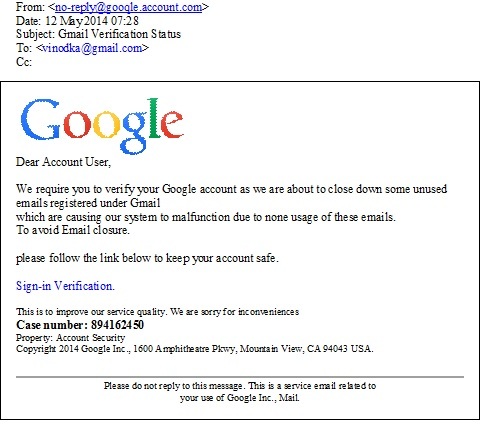 For an unsuspecting victim of this phishing , this looks like another authentic google page. 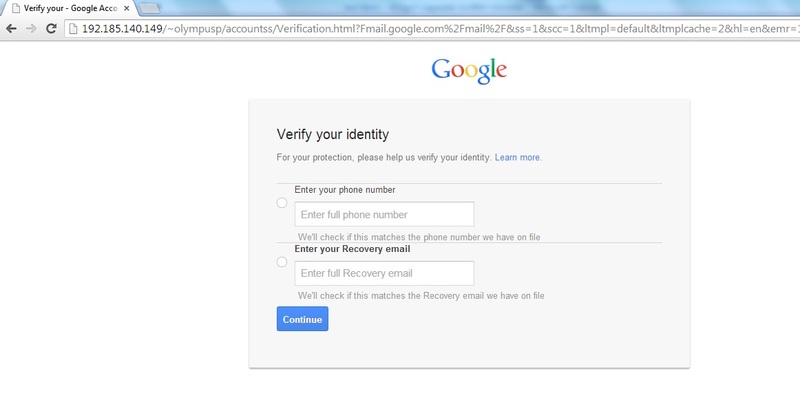 Your phone number or recovery email! 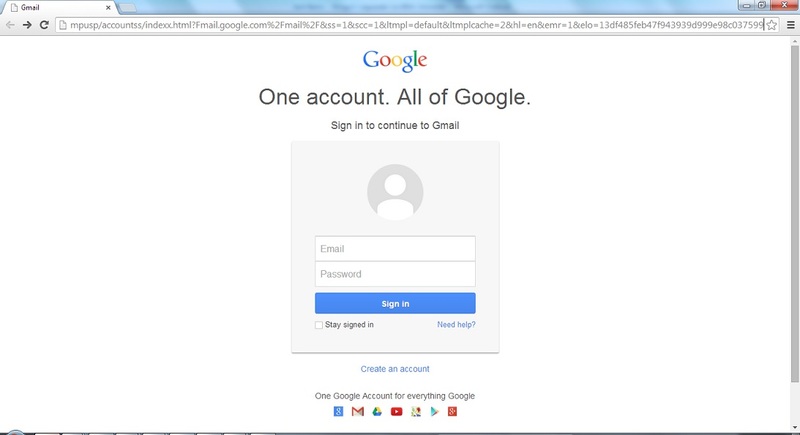 This has to be one of the best crafted phishing attempt I have come across. A recipient of this email can very easily fall prey to this attempt – and I hope this post helps as a protection. Please feel free to share with people known to you! Thanks for this email. I use gmail alot and I really need to stay up on this.